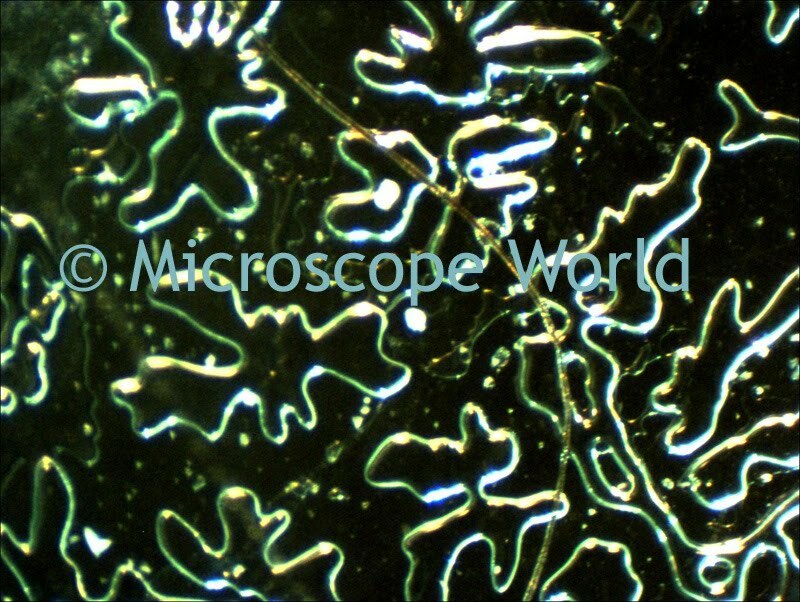 We recently used the Meiji EMZ-5TR stereo microscope to view some thin plastic film. The customer was interested in viewing the fibers within the plastic film. (These are the pieces that appear to look like amoebas in the photo below. 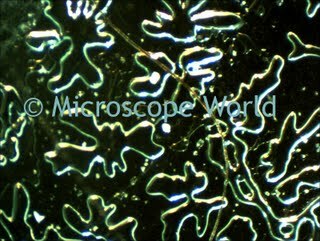 Images were captured at 40x magnification using the Moticam MC2300 camera.